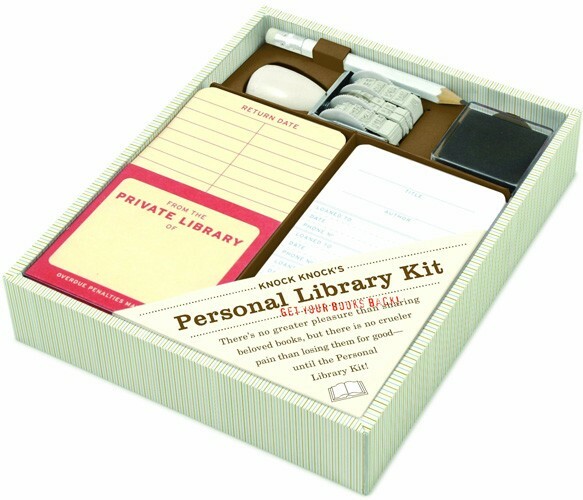 For a bibliophile, there's no greater pleasure than sharing beloved books, but no crueler pain than losing them for good. 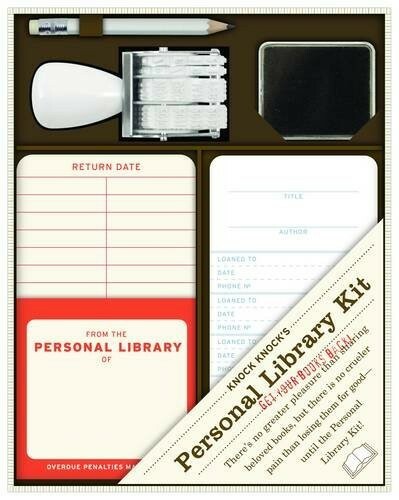 Revive old-fashioned library circulation techniques for fun and book retention with Knock Knock's Personal Library Kit. 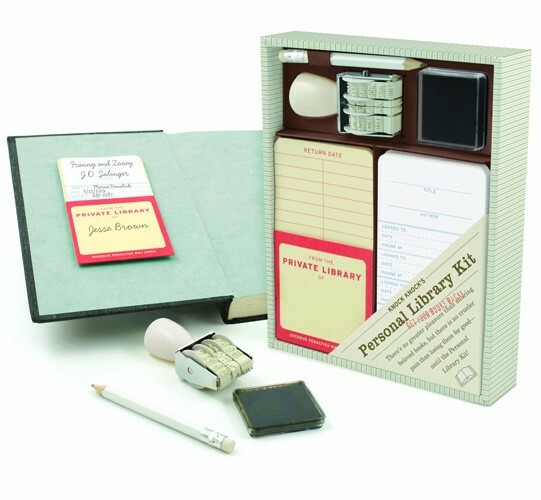 Old-fashioned library circulation techniques for fun and book retention! 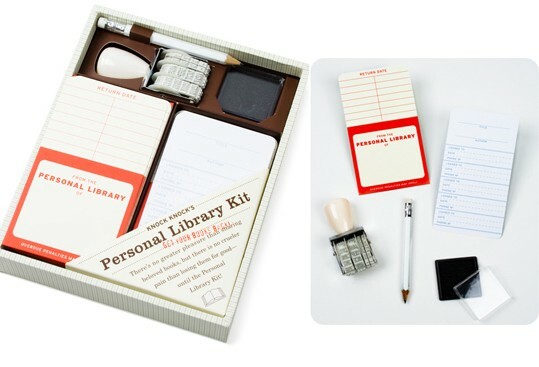 The kit's self-adhesive pockets, checkout cards, date stamper, and keepsake box will have bibliophiles everywhere channeling their inner librarian. 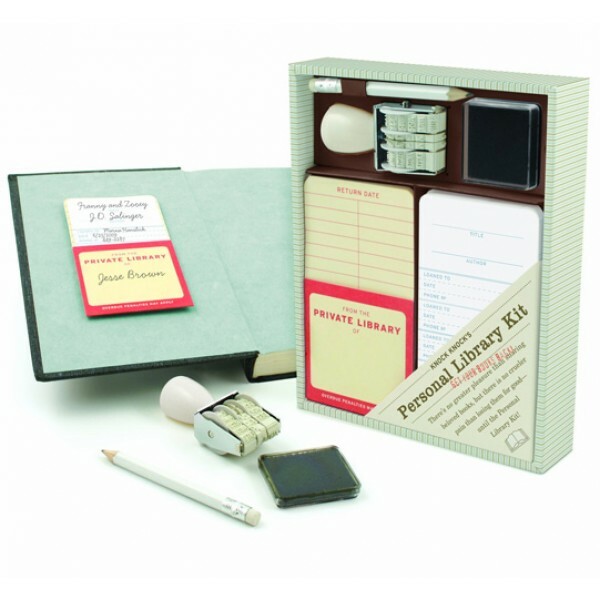 Box Personal Library Kit includes 20 self-adhesive pockets and checkout cards, date stamp, inkpad, and pencil.